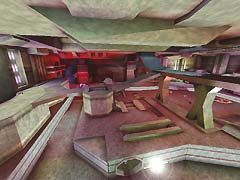 This map is the combination of 2 Doom maps that I liked very much (I just can't remember their names!). I also made a lot of changes so I doubt if anyone will recognize it to the original. 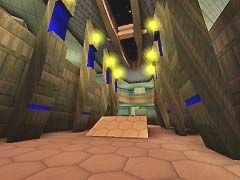 I'm also happy to say that the level is huge yet runs very good! I got no slowdown anywhere. 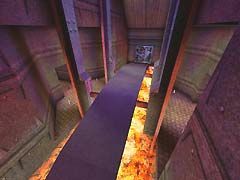 I'd love to see this map on a server. Oh well, hope you all like it and have fun! Bots work good and bad! Grrrr... I worked 3 days to try to get them to use the special teleporters and gravity lift! NOTHING! I finally gave up when I realized they don't really need to use them- they get around the level just fine without them and get ALL the power-ups (yes, even the redeemer! ).